Many homes in the Michigan area still have old wood windows. These units have that elegant appearance that just goes so well with traditional homes. However, wood windows do come with some setbacks. You have to know when to give your old units a rest. Check out five reasons to replace below. Your wood window’s frame has been affected by moisture. It’s one of the most common disadvantages of having a wood window. If you don’t care for the frame properly, it can easily swell. Vinyl-frame windows make a better alternative to the wood window replacement Detroit, Michigan, homeowners love. They resist moisture and the elements fairly well, so you won’t to worry about swelling frames so much. Your wood window is no longer energy–efficient. Wood windows are known to help with heating and cooling inside the home. But because wood is vulnerable to rot and moisture problems, its insulating ability can also fail prematurely. That can be bad news for your utility bills. If you want energy-efficient windows that will last longer, consider switching to vinyl. Your wood window’s performance has deteriorated. Is it providing the same level of protection from the elements as before? If you find that this particular feature has been compromised, you best be considering window replacement. Vinyl units have a unique composition that offers resilience for better-quality performance against the weather. Your wood windows require a high level of maintenance. Wood windows typically need to be repainted to protect it from rot and keep its beautiful appearance. The older the units, the costlier the maintenance can get. If you’re not ready for long–term costs, get less demanding replacements. Vinyl windows require very little upkeep. They come in various colors that don’t need to be painted over constantly, which means lower maintenance costs for you down the line. Your wood window has broken components. A broken pulley system is common problem for old wood windows. 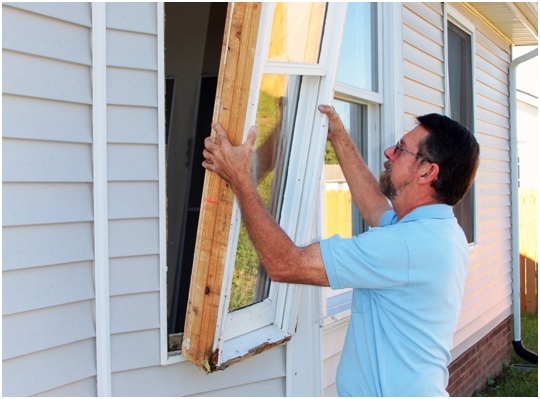 When you can’t open or close the windows properly anymore, you ought to get a replacement right away. The great thing about vinyl replacement windows is that they’re durable and easy to operate. You’ll feel more secure when your windows are long–lasting and simple to use. Kroll Construction specializes in vinyl alternatives to wood window replacement in Detroit, MI. We can help you make the best decision when choosing the next unit for your home. Our teams install windows from Alside, one of the nation’s leading manufacturers of vinyl replacements. If you’re looking to save on maintenance and energy costs, our vinyl windows are your best bet. To learn more about our units, just call us at (888) 338-6340 today.